Morgan Ford Willingham is a photographic artist and educator. After receiving a MFA in photography from Texas Woman’s University, she moved to the Midwest to pursue a career in academia and art making. 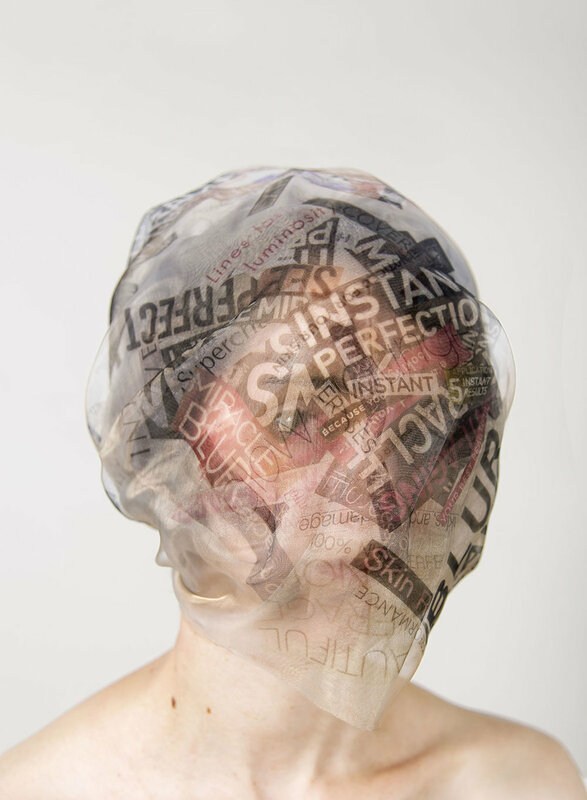 Morgan examines how identity is shaped by advertising and societal pressures through the use of various mediums, including photography, book arts, and installation. Her work has been widely exhibited, including Humble Arts Gallery in NYC, Filter Photo in Chicago, and the Hite Institute of Art in Louisville, KY. She is currently in her fourth year as Assistant Professor of Photography at Emporia State University in Kansas. This on-going series explores how natural beauty is masked by cosmetics that women use every day, and how the language of advertising is absorbed into the subconscious, where it constantly influences what women buy and how they perceive themselves. The text in this work is often appropriated from advertising slogans found in popular women’s magazines, and is sometimes difficult to read, signifying how the linguistics of advertising subconsciously attempts to persuade women to buy cosmetic products that alter their physical appearance. In the newest phase of this series, the work references the symbolism of the female, Renaissance portrait. The portraits, often commissioned by a father or spouse, represented, not the physical beauty of its sitter but the wealth and stature of the commissioner. 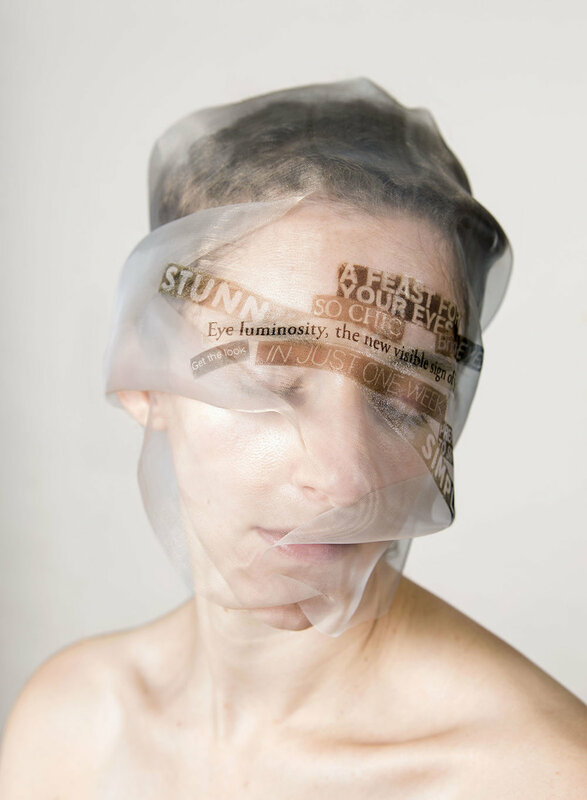 The self-portrait is used to investigate the various experiences of using cosmetics to commodify beauty, like the connection between the alteration of physical appearance to achieve societal acceptance. Emporia State University is small, community-oriented program. Students have several options for undergraduate degrees, including the BA, BFA, BS, and BSE, and additionally offers very unique concentrations in Engraving Arts and Glass Forming. The department encourages students, especially BFA majors, to consider interdisciplinary approaches to art making that fits within the context of the contemporary art world. Because of the small class size, students get a lot of individual mentorship from faculty. The ESU Department of Art currently only offers Baccalaureate degrees, and there is only one faculty per area. So, I teach all levels of undergraduate photography, including courses in B&W darkroom, digital, and alternative photographic processes. I am fortunate to be fully supported by my colleagues to develop and teach special topics courses, like Book Arts. I believe in a well-rounded foundational education within the medium of photography, so I do my best to support that through course offerings. But there is also a significant emphasis on conceptual development and individual artistic identity. After completing lower-level courses exploring analog, digital, and experimental approaches to the photography, students are allowed the opportunity to decide which medium to utilize for a specific project idea. This encourages critical and creative thinking. At present, I do not teach video or time-based media in the photography area. To me, a photograph isn’t a photograph until it is something physical (video or digital art is a whole other beast). So, projects are always submitted as something tangible, but I also believe fully in experimentation and cross-disciplinary approaches to art and photo making. So, if a student can explain how photography is a part of the work they produce, but it is outside an original assignment requirement I’ll accept it. I think it is incredibly exciting when students look for new solutions to a problem. ESU has both a designated B&W darkroom and digital lab, as well as a lighting studio for student use. Depending on the semester and the course, the majority of critiques happen in the classroom setting. I am beginning to develop some online courses and am considering altering face-to-face critiques to incorporate some online interactions. Critiques are typically restricted to students enrolled in that particular course, though occasionally an upper-level photo student may join in. Depending on schedules, visiting artists have conducted one-on-one critiques or class critiques during their visit to campus.